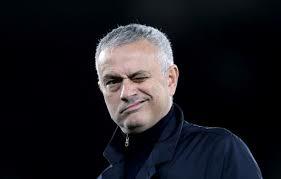 Sacked Manchester United boss Jose Mourinho is being linked with a return to his former club Inter Milan. That is according to The Daily Mail who report that the 56-year old Portuguese is set for talks with Beppe Marotta, Inter Milan director, about taking over for the second time at the club he managed between 2008 and 2010, and where he is still very highly regarded, having delivered them a treble, including the Champions League during his time there. Inter are currently third in Serie A, but manager Luciano Spalletti faces mounting criticism with the club trailing leaders Juventus by 20 points, and are 11 points distant from second-placed side Napoli..
Mourinho, who was dismissed by United in December, is apparently happy to wait until the summer to take another job, having already turned down the chance to manage Benfica. Former Chelsea manager Antonio Conté is also in the frame to take the Inter job should their board decide to replace Spalletti. All funny GIFs of Jose Mourinho from 2013-14 season.